I take inspiration from the landscape and the nature within it, finding beauty in the grass or a tree naked of leaves. On walks and outings, I sketch and take photographs, always amazed by the ever-changing colours and shapes of each season. 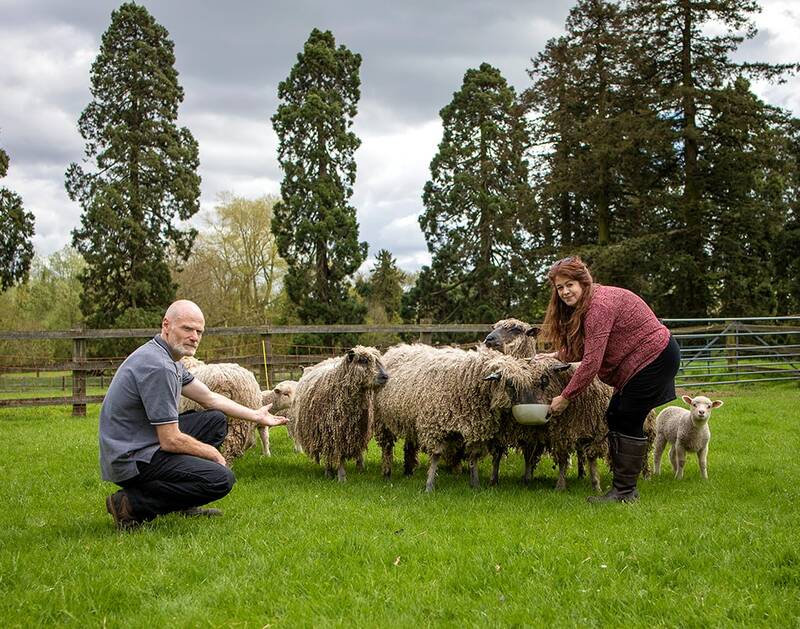 My partner and I keep our own rare breed sheep and I use their wool in my work where possible. I use needle felting to transform the raw fleece into felt, hand dying the wool and blending it to use in my pieces. Having our own sheep enables me to have a constant supply of the lustre wools l use in my work, giving me different textures and effects. Dying this wool allows me to get the exact colours I require. This has also allowed me to introduce my hand dyed wool into my workshops. I create most of my work from my studio overlooking the garden and sometimes venture to spend time with our sheep, who often feature in my pieces.